Danielle Hann, left, and Howard Township Lions Club member Bill Donahue explain to Hann's daughter, Avalon Roan, that Howard the Lion is friendly and nothing to fear. Just because an individual may have a sight impairment doesn’t mean that their struggles should be invisible to society. With this mindset, local chapters of the Lions Club met Sunday afternoon in Boalsburg to raise awareness for the blind in the local community. The Lions Club International was charged by Helen Keller in 1925 to be “Knights for the Blind.” In the nearly 90 years since then, the organization has grown to be the largest service organization in the world. Though the Lions’ charitable efforts extend all over the globe, local chapters maintain a strong sense of community and stage events to raise funds and awareness of those with sight impairment. One of these events, the annual Journey For Sight Walk, entered its 31st year Sunday afternoon at the Pennsylvania Military Museum in Boalsburg. Michelle McManus, who has been blind since birth, works with Penn State to ensure that their websites are accessible to the sight-impaired using screen reading technology. 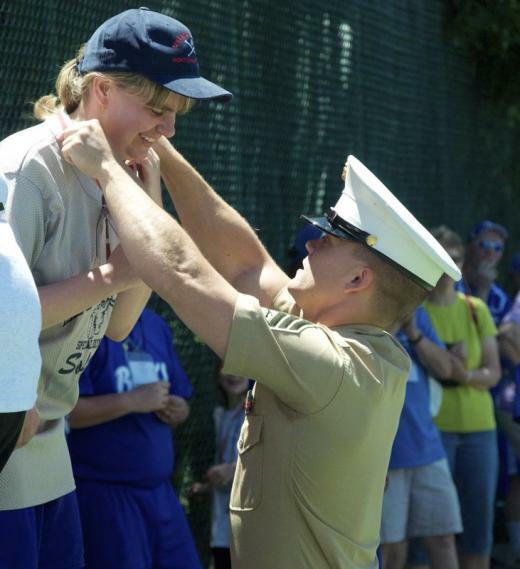 McManus is heavily involved in sight disability advocacy, supporting the Lions’ annual walk and serving as the president of the Happy Valley chapter of the National Federation of the Blind. The annual walk for sight raises funds to help support sight-impairment research and provide local individuals who can’t afford glasses or hearing aids with the proper tools for their disabilities, Journey for Sight Chair Bev Corl said. Members from Lions Club chapters across Centre County spent the weeks leading up to the event getting individuals and businesses to sponsor their participation in the event through donation. Jeff Fetterman, president of the Ferguson Township Lions Club chapter, says that the event doesn’t have a particular monetary goal, and that bringing members together to support the cause is just as important. Corl said that the walk typically sees between 50 to 60 people, and this year was no different. Corl was glad for the turnout, and says this cause “is very near and dear to my heart.” She has a close friend who is blind who she takes grocery shopping once a week, and considers herself “blessed to have such a great friendship” that grew out of these trips. Though the threat of rain pushed the Lions to walk a bit faster than they might have otherwise, a parade of both blind and sighted and young and old walkers circled the scenic military museum lawn. 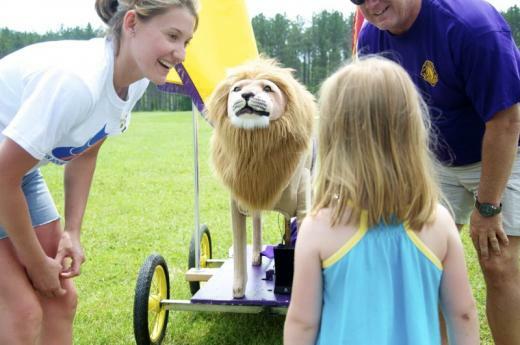 Members of the Howard Township chapter led the way with the mascot Howard the Lion, a motorized stuffed animal that roars and shakes his head as if in affirmation of the organization’s goals. Shortly after 4:30 on Saturday evening, a great roaring rose up from the East Halls lawn on the Penn State campus. The gathered crowd of Special Olympics athletes, coaches, volunteers and supporters had been asked if they’d had fun this weekend. The response echoed off the walls of the dormitory halls.